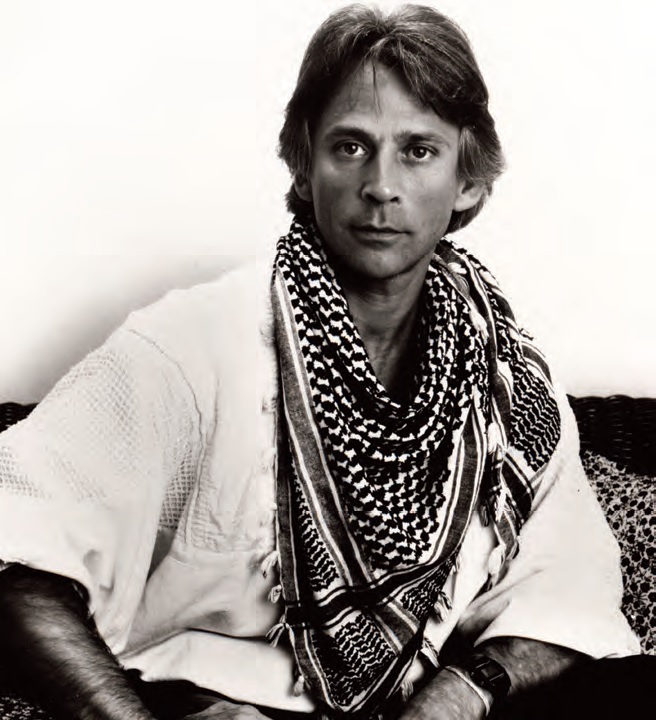 Gone too Soon: Ivan Nagy, Star of American Ballet Theater Dies at 70…. Ivan Nagy was artistic director at Cincinnati Ballet for a short few years but his tenure was critical to the Ballet’s development. He brought talent to Cincinnati, elevated women’s salaries to match men’s and conceived Cincinnati Ballet as an independent, professional company. Ivan Nagy, the charismatic and globally famed dancer who was Cincinnati Ballet’s artistic director from 1986 to 1989, died Saturday in Budapest, the city where he began his rise to global prominence in the dance world. He was 70 years old. Nagy’s career would include the artistic leadership of three ballet companies on three continents. But he remained best-known as elegant and regal partner to many of the world’s greatest ballerinas, including Dame Margot Fonteyn, Natalia Makarova, Cynthia Gregory, Carla Fracci and Gelsey Kirkland. His dancing never had the technical pyrotechnics of Mikhail Baryshnikov or Rudolf Nureyev, two of the more popular male ballet luminaries of his time. But for all their popular fame, neither of those dancers could compare with Nagy’s extraordinary skills as a partner. van Nagy, who defected to the United States from Hungary. It’s the sort of refrain heard over and over again from women who danced with him. To dance with Nagy was more than just to perform side by side with him. It was to be consumed by an intimate relationship, if only for the few hours a ballet might last. But at the age of 35, at what many regarded as his peak, Nagy announced he was retiring. He said he knew far too many dancers who danced so long that they did permanent damage to their knees or backs. He wanted to avoid the physical ailments that plague so many dancers as they get older. Four years later, in 1982, Nagy and his wife, ballerina Marilyn Burr, took over the artistic leadership of the Ballet de Santiago in Chile. Nagy’s dashing looks and flamboyant style — he was rarely seen in public without a long flowing scarf – made him a favorite of Chilean President Augusto Pinochet. Within three years, Nagy had raised the stature of the company markedly, bringing in a host of noted guest choreographers, recruiting gifted international dancers and even bringing the company to New York to show the world what the company – and he – had achieved. It was a triumph. A few days after his company’s American debut, Nagy announced he was leaving to become artistic director of the Cincinnati/New Orleans Ballet. It was a curious decision. Cincinnati isn’t the sort of high-flying, worldly city that you might expect for Nagy. But the relationship with New Orleans clearly fascinated him. The real appeal, though, was Nagy’s connection with Cincinnati Ballet’s then-acting artistic director Frederic Franklin, a former Ballet Russe de Monte Carlo member. Franklin, who died at the age of 98 in May 2013, assumed leadership of the company after the death of longtime artistic director David McLain in 1984. It was Franklin who had “discovered” Nagy at a ballet competition in Bulgaria in 1965 and offered him a contract with the National Ballet in Washington, D.C., where he was artistic director. Franklin understood Nagy’s star power and he had the dance world connections to give it the boost it needed. 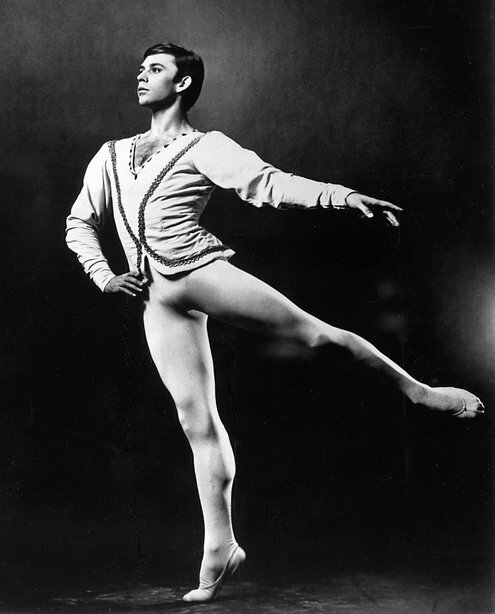 Kevin McKenzie was a student at the Washington School of the Ballet when Nagy arrived at the National Ballet. Today, McKenzie is artistic director of American Ballet Theatre, but he still has vivid memories of the dashing young Hungarian dancer. The moment he arrived in Cincinnati, Nagy set out to reinvent his new company. Just as he had done in Santiago, Nagy brought in new repertory and recruited dancers from around the world. Within a single season, he had hired dancers from Italy, Brazil, Spain and Hungary and accomplished the previously impossible feat of wresting away dancers from larger, more-established American companies. “Ivan presided over a ‘Golden Era’ in the history of the Cincinnati Ballet,” says the company’s longtime music director Carmon DeLeone. Nagy and Burr severed the company’s ties with the University of Cincinnati’s College-Conservatory of Music. Nagy wanted Cincinnati Ballet viewed as an independent professional company, not one that might be perceived as an adjunct to a university dance program. He elevated the women’s salaries to match those of the men. 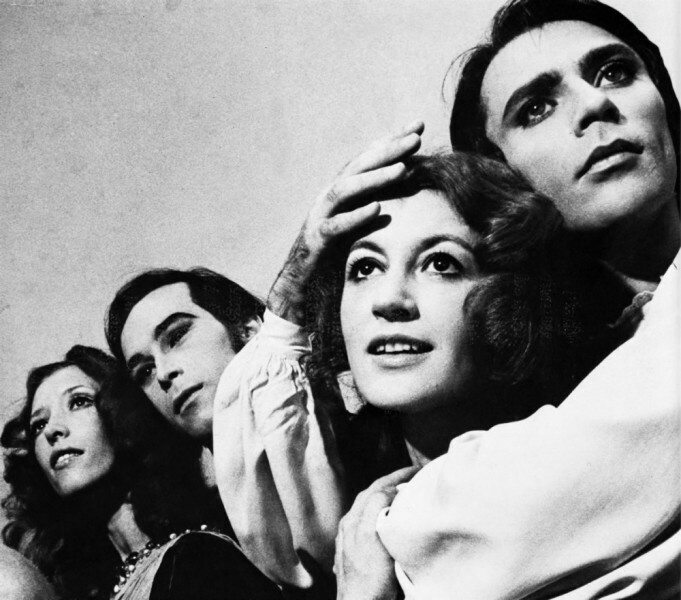 Ivan Nagy, Carla Fracci, John Prinz and Nat­alia Makarova as cap­tured by pho­to­grapher Jack Mitchell in the 1970s when all were part of the Amer­ican Bal­let Theatre. 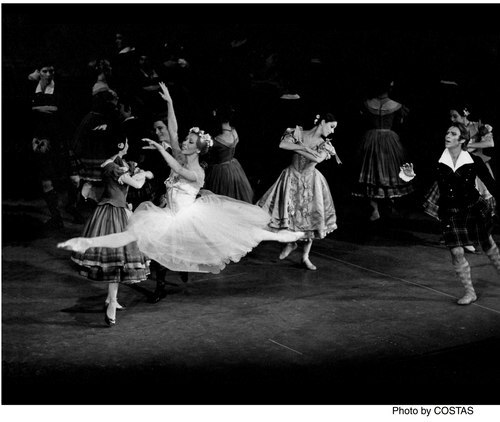 At the beginning of his second season, he instituted a traditional system of ranks within the company; corps de ballet, soloists and principal dancers. His predecessor, David McLain, objected to such distinctions, believing that American ballet companies should be ensembles made up of equals rather than be defined by class-based rankings imported from European companies with imperial roots. Audiences loved what they saw onstage. Nagy added ballets by a host of internationally noted choreographic superstars like John Cranko, Vicente Nebrada, Paul Taylor, Ben Stevenson, Mauricio Wainrot, Kenneth MacMillan and André Prokovsky. But by the beginning of Nagy’s second season – 1987-1988 – the honeymoon was already wearing thin. Not onstage, mind you, where the new and expensive productions continued to attract better dancers and larger audiences. Makarova has frequently coached and staged classics. Nagy brought a new level of glamour to the company and its performances. But behind the scenes, those onstage highs were tempered by equally wrenching lows. Every new artistic director reshapes the roster of dancers to suit his own image. But Cincinnati Ballet’s turnover became so great that it was a little like trying to follow the roster of a modern-day professional sports team. In Nagy’s second season, fully a third of the dancers were new to the company, a number that would grow to 45 percent in his third season. Nagy’s ability to attract gifted dancers was undeniable, though. However excellent his judgment about dancers may have been, Nagy’s management style was painfully archaic. He often said that he was spoiled by his time in Chile, where Pinochet had helped him get anything he wanted. “All I ever had to do was ask for something and it was there for me,” Nagy said in a 1988 Enquirer interview. Company dancers had contracts governing rehearsal time, frequency of breaks, travel rules and so on. But Nagy paid little mind too many of the rules. After a series of particularly heavy-handed incidents, the dancers adopted union protection by voting to join the American Guild of Musical Artists in 1988. Meanwhile, a global recession had seized the economy and the company’s New Orleans partner was unable to pay its bills. With Nagy continuing to stage expensive productions, the company’s deficit ballooned to more than $500,000. This was not the sort of atmosphere Nagy was accustomed to. In May 1989, he announced he was leaving to become artistic director of the English National Ballet in London. His directorship began with a grand flourish, with Nagy doing a fox trot onstage with the company’s royal patron, Princess Diana. It was the sort of glamorous spectacle that Cincinnati had not been able to give him. But the bliss was short-lived. With the ENB’s board consumed in a power struggle, “technical and artistic standards fell and he (Nagy) was dismissed in 1993,” Sanjoy Roy wrote in a brief history of the company in The Guardian newspaper. Nagy returned to the helm of the company in Santiago where, despite Pinochet having left office, he met with some major success. But in 1999, the company’s dancers went on strike. And, in January 2000, Nagy resigned. Nagy retired to his home on Mallorca, a Spanish-ruled island 160 miles south of Barcelona in the Mediterranean. He occasionally stepped into the world outside to stage a ballet or attend a company reunion. In October, he made an appearance in New York City at an ABT-sponsored memorial for Franklin. It was obvious that life without the harsh battles of the increasingly commercial world of the arts suited him. Tanned, his grey-green eyes still flickering impishly, he still looked every bit the star he was 40 years earlier. Yes, his hair was whiter and thinner and he had added a bit of girth over the years. But Nagy never lost his matinee idol good looks or his effortless way of being the center of attention. Ivan Nagy could charm with the best of them. 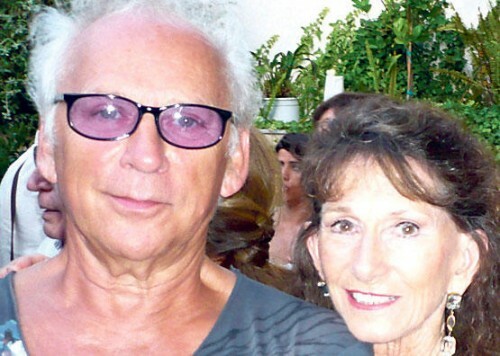 Nagy is survived by his wife, Marilyn Burr and two daughters, Tatjana Harper of Austin, Texas and Aniko Nagy of London. His daughter Aniko Nagy said in a telephone interview that Mr. Nagy had felt unwell after a flight from Majorca on Friday. He was visiting a cousin in Budapest for lunch when he died suddenly, she said. No cause was given. Ivan Nagy was born on April 28, 1943, in Debrecen, in eastern Hungary. He began studying dance as a child, with his mother, a ballet teacher. At 7 he entered the school of the Budapest State Opera Ballet (now the Hungarian State Opera House Ballet) and trained there until he joined the Budapest company in 1960. In 1965, as a young soloist, Mr. Nagy was sent to the International Ballet Competition in Varna, Bulgaria, where he won a silver medal. Frederic Franklin, the former star of Ballet Russe de Monte Carlo, was on the jury, and as artistic director of the National Ballet of Washington he invited Mr. Nagy to make a guest appearance with his company.